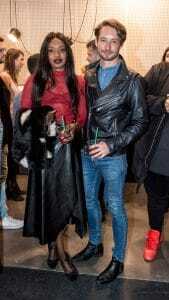 On 18th August, luxury fashion sportswear specialists, teamm8 celebrated the launch of their new flagship store on Bourke Street in Surry Hills, with a great evening of drinks, music and many Sydney socialites in attendance. All were treated to an amazing catwalk show with a first look at teamm8’s new sportluxe activewear, underwear and swimwear collections worn by a bevvy of hot male models – in this case, less really was more! 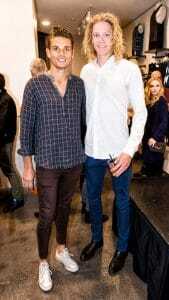 Rob Mills, Bondi Rescue’s Hoppo, social influencers Simon Hancock and Arrnott Ollsen, Stylist Jeff Lack and Big Bash players Chris Green and Mickey Edwards were amongst the front row at the event which was sponsored by Vodka O.
teamm8 is a rising star in the fashion world and is one of Australia’s hottest menswear brands, offering affordable luxury ranges of underwear, swimwear and now activewear for style conscious men. The new stylish ranges have diversified the brand offering something for everyone. The new sportswear collection, T8 activewear, is being launched after increasing demand for more teamm8 activewear garments, which were selling quicker than any other range. The new range comprises a variety of monochrome classic styles all created with premium quality fabrics. 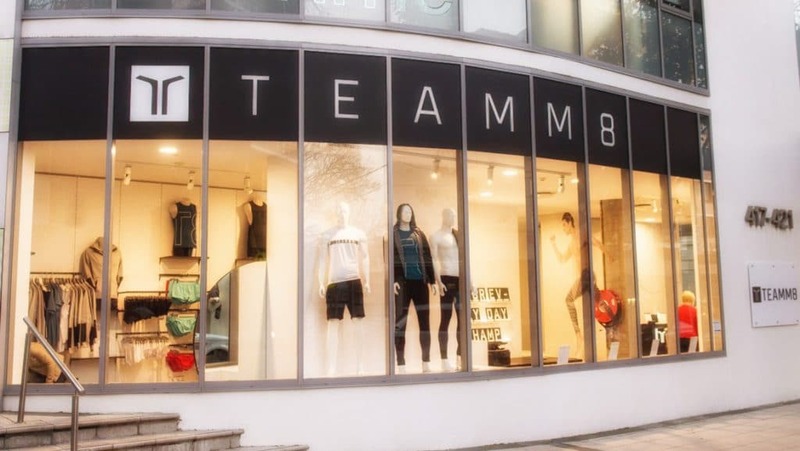 From shorts, to tanks and sweatpants, teamm8 has a range of products suitable for every man. The collection is stylish without being flamboyant, perfect for those men looking for a subtle yet sophisticated fashion statement in their activewear.